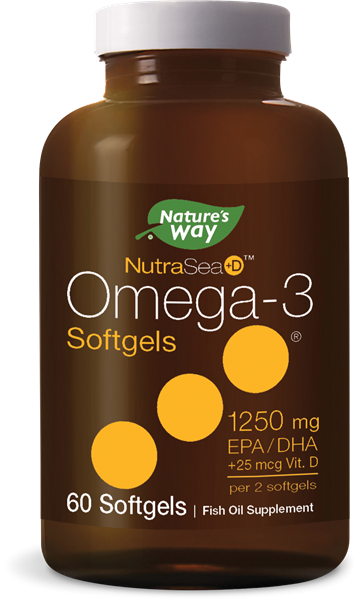 NutraSea +D™ Omega-3 Softgels 60 ct. - Nature's Way®. Products /NutraSea +D™ Omega-3 Softgels 60 ct.
NutraSea +D™ Omega-3 Softgels 60 ct. Adults and children 12 years and older take 2 softgels daily.